Please be advised that Centuria Property Funds Limited (CPFL) will transition its registry service provider from OneVue Fund Services to Boardroom Pty Limited (BoardRoom) for Unlisted Property Funds, effective Friday, 23 November 2018. The transition follows a comprehensive review of our registry services and tender process. BoardRoom has a 30-year track record in safely managing share registries, offering an efficient, tailored and cost-effective solution, which can deliver an optimal experience for all unitholders. 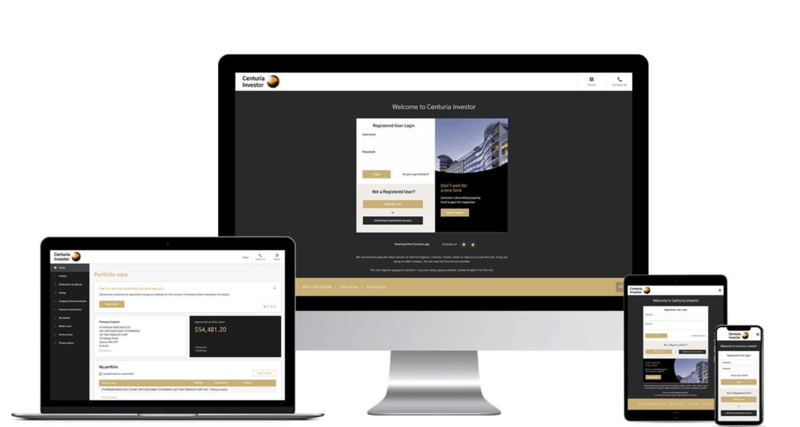 With this change, Centuria will now offer the Centuria Investor – a centralised platform to easily access all the information related to all your Centuria investments in one place. More information on Centuria Investor can be seen over the page, your login details will be sent out to you in the near future. To ensure a seamless experience for you, we have arranged the secure transfer of your relevant investment details to BoardRoom which will occur on Friday, 23 November 2018. You will be sent information regarding accessing the Centuria Investor website. If you have questions regarding this transition or on your investment with Centuria, please email Centuria Investor Services directly at Property.Enquiry@CenturiaInvestor.com.au or call 1800 182 257. BoardRoom is one of Australia’s leading securities registry providers that is committed to offering Centuria investors with an unrivalled user experience. See information about your holdings including balance history, reinvestment plans, linked holdings, dividends and other distributions.